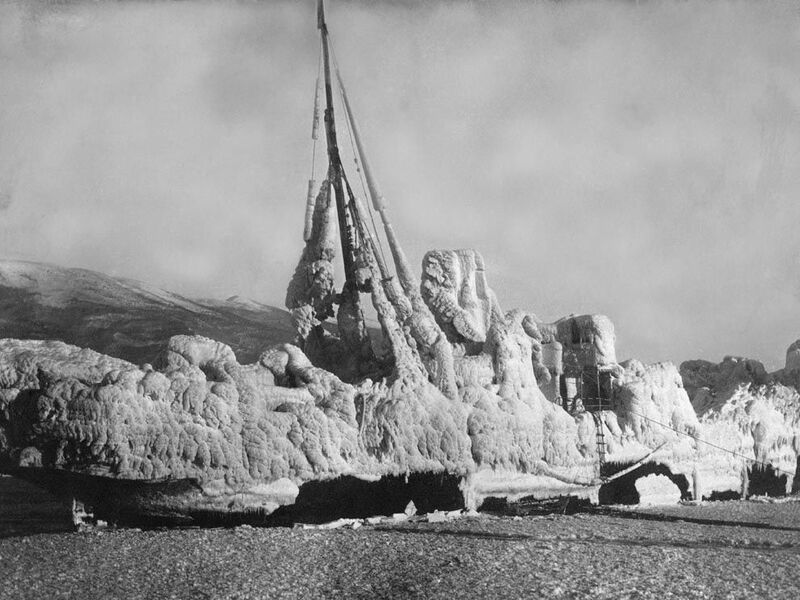 An abandoned ship (sometimes called a "ghost ship") is covered by rime in the North Sea. Rime is a type of frost that is common in polar conditions, with strong winds and a wet climate. Encyclopedic entry. Frost is water vapor, or water in gas form, that becomes solid. Frost usually forms on objects like cars, windows, and plants that are outside in air that is saturated, or filled, with moisture.